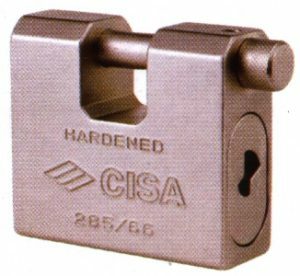 This is the lock and security hardware business originally started in 1975 by David Miller, and is still owned by him. We ship all kinds of locks and door hardware – all over Africa – only after payment in full has been cleared and confirmed by our bankers. UNIT B14 MILNERTON BUSINESS PARK, RACECOURSE ROAD (cnr Koeberg Road) MILNERTON. (These premises were previously called Sanlam Business Park). As you enter Milnerton Business Park, turn left, and then first right at Western Shoppe. We are at the end of the road, just before the big steel gates. 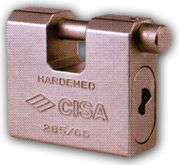 Speak to our LOXPERTS about Locks and security hardware. We have 130 years’ experience! Please do send pictures and measurements of doors and locks if you can – to enable us to understand more clearly what you need. Pictures and dimensions can be emailed to info@lockshop.co.za or sent by WhatsApp or SMS to our LockDesk Mobile number: +27 (0)84 200-1555. This number is ONLY answered and checked during our OFFICE HOURS – it is NOT an after-hours number. If you would like us to assist with solving a problem, please send us measurements and / or pictures of your doors in a separate e-mail. Would you like to receive occasional updates on new products? Travelling in the direction of Blaauwberg, pass the Milnerton SAPS, pass Woodbridge and Point Business Parks. Be in the right lane as you approach the Milnerton Medi-Clinic, turn right into Racecourse Road. MILNERTON Business Park is then on your left. (Hirsch’s will be behind you). At the RACECOURSE My-Citi bus station, turn into Racecourse Road, pass The Paddocks and Stodel’s on your left, and Mediclinic on your right. Cross Koeberg Road at Hirsch’s; MILNERTON Business Park is on your left. As you enter MILNERTON Business Park, turn left, and then first right. Pass Western Shoppe. We are at the end of the road, just before the big sliding gate.